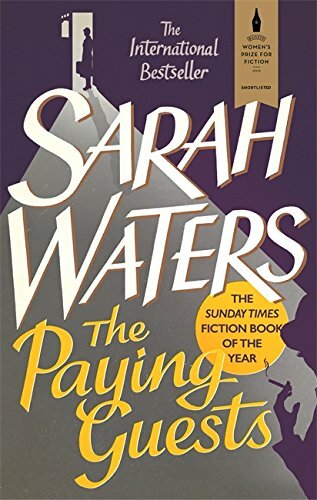 by Sarah Waters | Women's Fiction | This book has not been rated. "It is 1922, and in a hushed South London villa life is about to be transformed, as genteel widow Mrs Wray and her discontented daughter Frances are obliged to take in lodgers. Lilian and Leonard Barber, a modern young couple of the clerk class, bring with them gramophone music, colour, fun... and dangerous desires." "A love story that is also a crime story, this is vintage Sarah Waters." Purchased for a Birthday Group member who has it in her WishList. Sent today, with assorted goodies. Enjoy, and Happy Birthday! Thank you so much for this wishlist book! I received three copies of this book for my birthday - which is fine, as I can't take that many books with me when I move to Asia soon. This one is travelling on now, as a wishlist RABCK. Reserving for 2017 BC Convention in Oslo. Thank you for visiting the website. If this is your introduction to Bookcrossing, welcome. Please make as few or as many comments about the book as you wish. The book is now yours to do with as you choose. Keep it, pass it on, but please leave the label, so it can keep in touch with us. If you would like to know what happens to the book after you have passed it on, then do join - it's free, private and fun.